Mine was quiet and relaxing, as always. 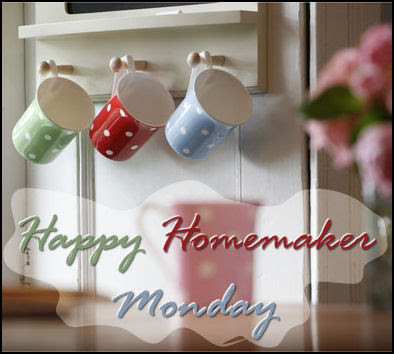 I just realized that my last post on here was last week's Happy Homemaker Monday, oh boy. I do have a Jamberry Nails review coming up later today, PLUS an actual post with pictures and all, can you believe that? Actually nice today, and I mean sky wise, because temperature wise it is 22 degrees, oh goodness. .
Just coffee, and I may have a Cinnamon Raisin Bagel here shortly. Sun is shining, cars are driving by. It looks like a bit of snow on the mountain. In the living room with a sleeping Lola next to me. I have a mental list going and I should be writing it down because I know I will forget something. I am still in my pjs too, need to get up and ready for the day soon. There are boxes everywhere, and empty walls and shelves. I know I still have 3 months but I am choosing to do as much as I can now without rushing it at the end. All caught up with my Portuguese soaps, bummer. I love being able to binge watch something. I started Expedition Unknown with Josh Gates and I'm enjoying that one, so I'll probably catch up. Jasmine and I also want to catch up on Ghost Adventures. 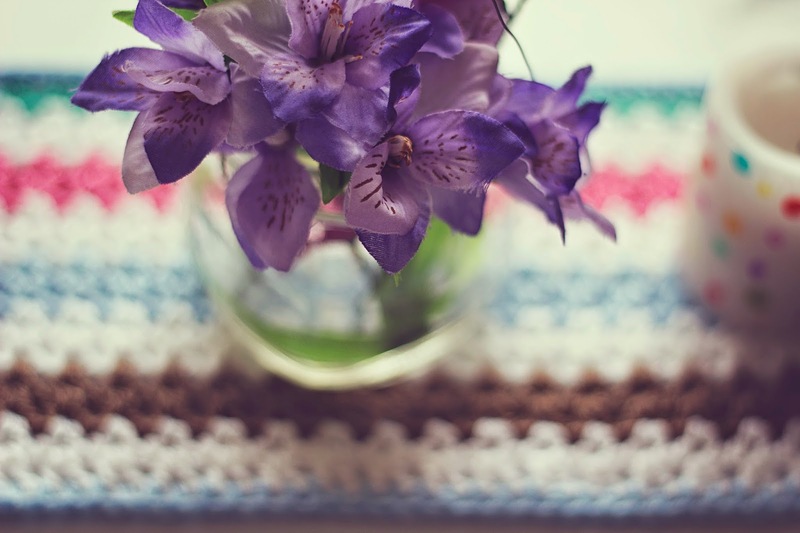 Nothing, but I have pulled out my crochet stuff and am wanting to start something today. I saw your jamberry nails on instagram - so cute!! Love stopping by here to know what is going on in your life. Your pictures continue to amazing and delight me. Thank you for sharing your menu options as well for this week. I might have to adopt some of those. Thanks to you, I'm going to give Jamberry a try. Thanks for linking me up :) Hope you're having a great week! I think you're a wise lady getting things done earlier rather than at the last minute. So much less stress when it's down to the crunch. I have to write everything down or I totally forget things!